With custom orders you get exactly what you want! 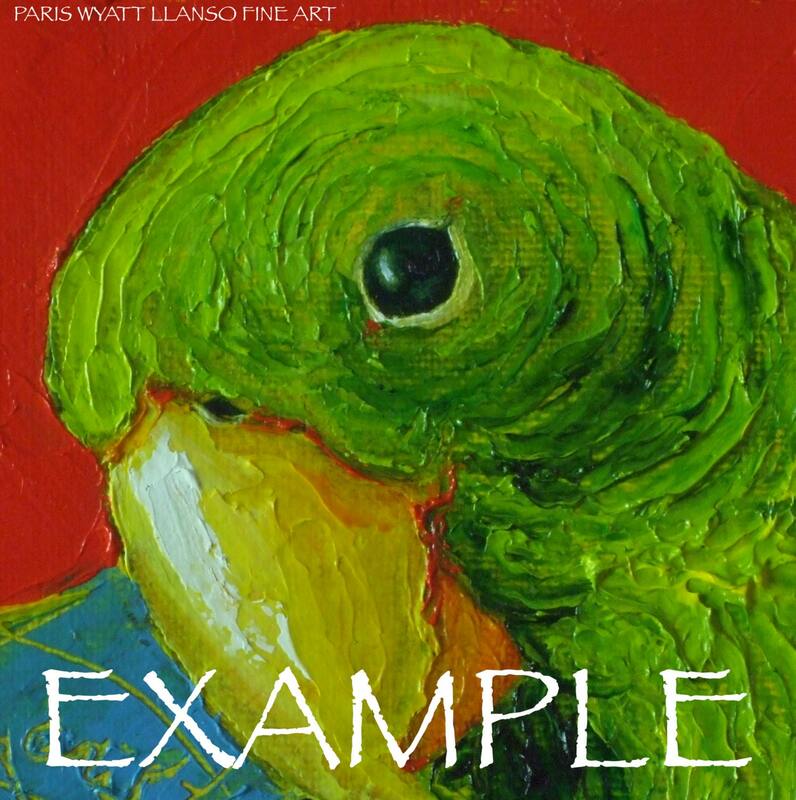 There is nothing more original than a custom painting by Paris! 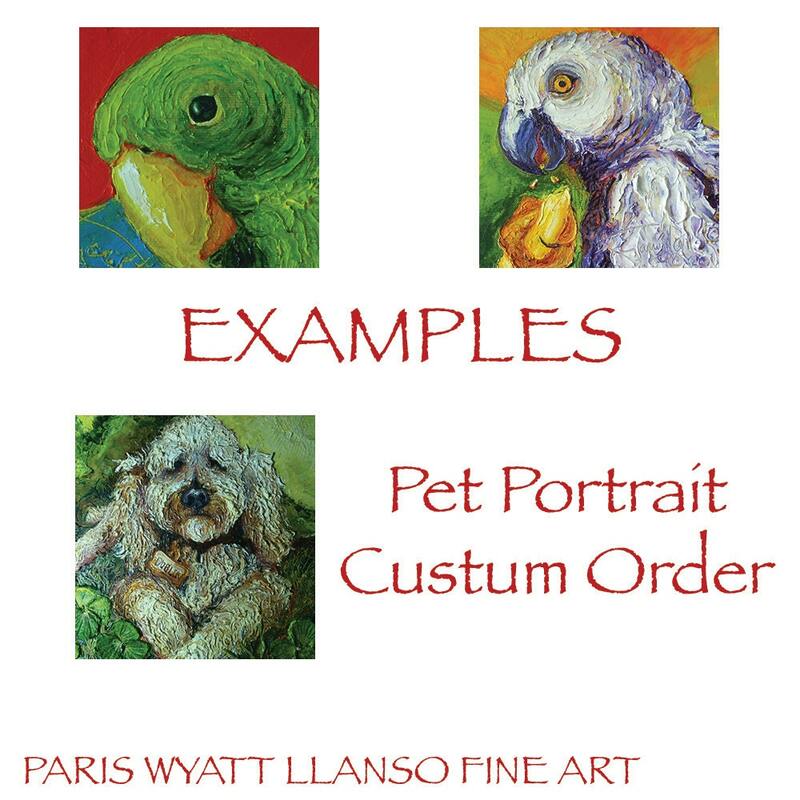 'Pet Portrait' will be an original impasto oil painting by Paris Wyatt Llanso. This piece will measure 8x8 inches and will be 1 1/2 inches deep. 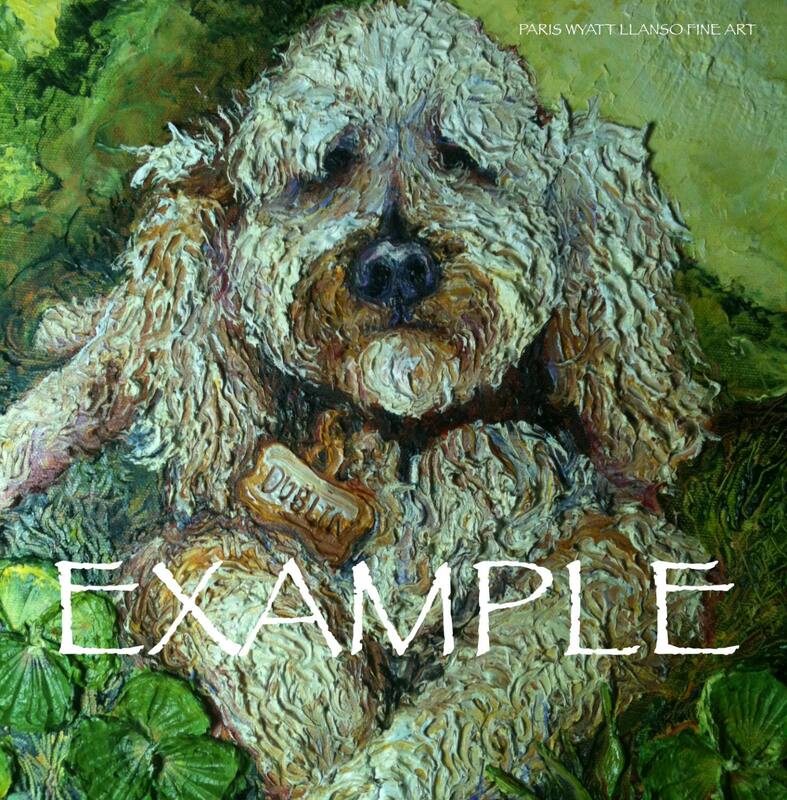 'Pet Portrait' will have thick applications of premium oil paints and high relief. 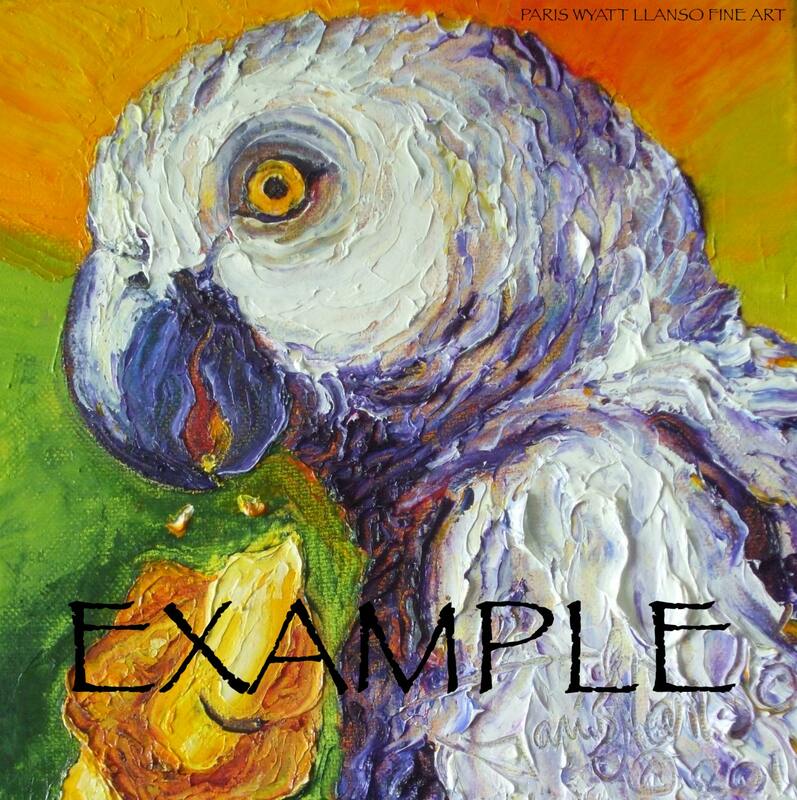 The Image will be painted around the edges, eliminating the need for a frame. It may still be framed at your discretion.